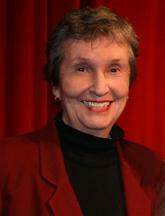 Joan is a founding member of the PCW and began writing plays after a career in broadcast journalism. An awarding-winning writer/producer at CBS News, NBC News and Cable’s Arts & Entertainment network, she moved on to help develop Women’s e-News – an Internet wire service covering women’s issues in 1999. She is also the author of CIVIL RIGHTS: A current Guide to People, Organizations and Events. Recently, her plays have been produced in Toronto, at the Wellesley Theatre for Theatre Studies and Playhouse on the Green in Bridgeport, Connecticut along with staged readings at the National Arts Club and the Players Club in New York.